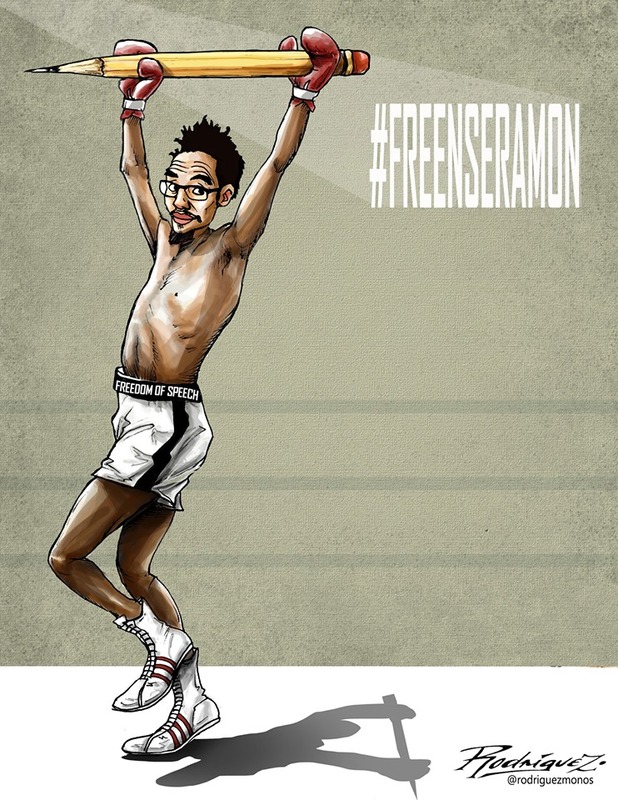 EG Justice – Free Nse Ramon – Join the effort to #freenseramon! Support freedom of expression in Equatorial Guinea! Join the effort to #freenseramon! Support freedom of expression in Equatorial Guinea! Ramon Has Been Released From Prison! 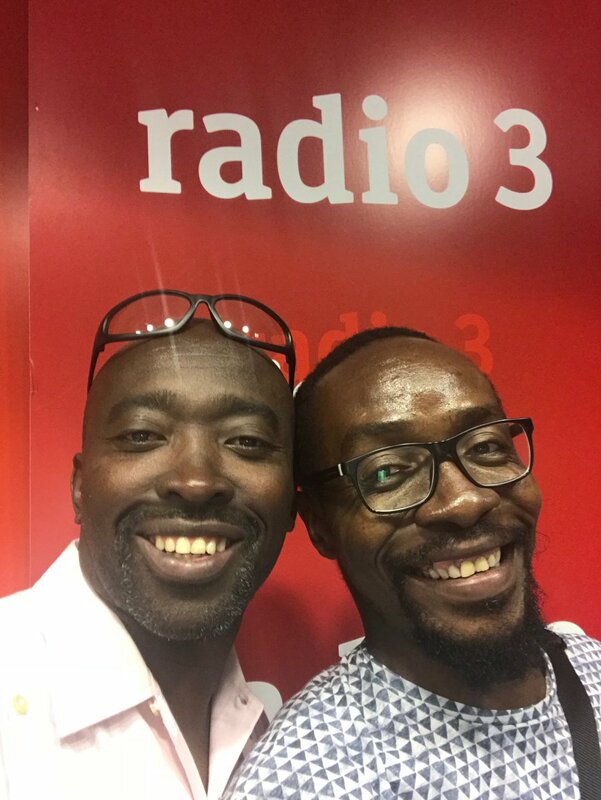 Equatoguinean cartoonist and activist Ramón Esono Ebalé was arrested on Saturday, September 16 in Malabo, Equatorial Guinea. After leaving a restaurant and getting into a car, three people who identified themselves as members of state security opened the doors and handcuffed him. Since then, Ramón has been held at a police station waiting to be notified of the reason for his arrest. During an interrogation they asked Ramon about Obi’s Nightmare, a graphic novel illustrated by Ramón that is very critical of Teodoro Obiang, Equatorial Guinea’s president for the last nearly 40 years. He was warned that his drawings could be considered defamation of the president. To arbitrarily detain an activist for his art critiquing the lack of basic freedoms and corruption is typical of dictatorships that operate outside the law and with impunity. Ramón has not violated any Equatoguinean law. The Government of Equatorial Guinea must respect his right to express himself freely and release him immediately. Tuiter considera todos los tuits de #freenseramon como “contenido potencialmente...”. ¿Por qué? Recuerdo que es una cuenta no creada por mi. ¿También CENSURABAN las publicaciones de esa cuenta antes de controlarla yo?. ¿A que viene esto de censurarme siempre? Help Ramón cover his legal expenses. Make sure to add #FreeRamon in designation. Add your signature to petition president Teodoro Obiang Nguema Mbasogo to release Ramón. Artists from around the world contributing drawings in support of #FreeNseRamon. See submissions below. After hearing about the unjust imprisonment of Equatoguinean artist Nse Ramon Esono Ebaleé, over 60 elementary and secondary students (ages 5 – 14) from a school in Oaxaca, Mexico, contributed their amazing art in support of the #FreeNseRamon cartoon campaign. Copyright © 2017 EG Justice, all rights reserved.